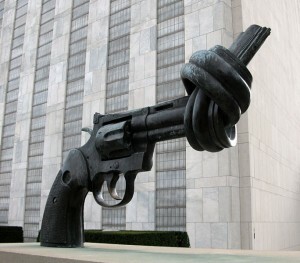 Peace is often understood as a passive state, a set of higher, abstract ideals, a future moral condition. War is considered to be part of the natural order, repetitious and recurrent, creative in its destruction. This panel will explore peace on multiple levels and across diverse cultures; as a process of everyday acts and aspirations; as a matching of means and ends. It attempts to develop strategies for a positive, actionable, and vital theory of peace. Key questions include: Does the best hope for peace lie in a universal enlightenment project (see Kant)? Or in other non-western, non-rationalist expressions of peace? Does peace like war objectify people as means toward higher ends? How might peace practices scale from the local to the global? What inhibits or promotes sustainable ecologies and economies of peace? How might we get excited about peace – and become bored by war?